Western’s vision is to be a destination of choice for the world’s brightest minds seeking the best learning experience at a leading Canadian research university. Combining more than 1,400 faculty, 2500 administrative staff, and 32,500 FTE students (including more than 6,000 graduate students), Western has established itself as a globally recognized destination for academic excellence and leadership development achieved through learning and research. Through 12 Faculties and Schools, and three affiliated University Colleges, Western’s vibrant centre of learning offers its undergraduate students more than 400 specializations, majors, and minors, as well as innovative modular degree structures allowing them to combine numerous disciplines. In graduate education, Western offers 53 Doctoral and 83 Master’s programs. 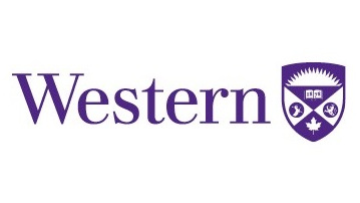 For more information about Western, visit www.westernu.ca. Western now invites applications and nominations for the position of Associate Vice-President, Communications and Public Affairs. Reporting to the Vice-President (External), and a key member of the University’s senior leadership team, the Associate Vice-President, Communications and Public Affairs is accountable for providing campus-wide vision and leadership to support and advance Western’s reputation and strategic institutional objectives. Working closely with the President, Vice-Presidents, Board of Governors, and other senior academic and administrative leaders, the Associate Vice-President will provide leadership and strategic direction for the University’s communications, issues management and media relations, and marketing and branding initiatives, ensuring alignment with Western’s institution-wide strategic plan. This critical appointment for Western calls for a visionary, strategic, collaborative and imaginative leader—someone who is energized by the opportunity to deliver on the mandate of the Communications and Public Affairs portfolio, in support of strengthening and protecting Western’s brand and its reputation for excellence in teaching, research, and scholarship, both nationally and globally. Managing a large staff and operating in a sophisticated and decentralized environment, the new Associate Vice-President, Communications and Public Affairs will possess significant leadership and management experience, and will have a track record of success in leading a dynamic communications portfolio in a complex multi-stakeholder institution. Western is committed to employment equity and diversity in the workplace and welcomes applications from women, members of racialized groups / visible minorities, Aboriginal persons, persons with disabilities, persons with any sexual orientation, and persons of any gender identity or gender expression. Accommodations are available for applicants with disabilities throughout the recruitment process by contacting our search consultant (see below). In accordance with Canadian immigration requirements, all qualified candidates are encouraged to apply; however, Canadians and Permanent Residents will be given priority. Consideration of candidates will begin March 2019 and will continue until the position is filled. Nominations and/or applications should be submitted, in confidence, to westernavp@odgersberndtson.com.